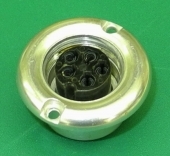 New 12 pin male Tuchel connector as used on Telefunken V76m, TAB, Siemens, etc. 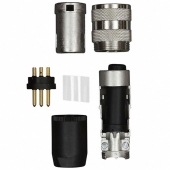 Complete 30-Pin Male Tuchel Kit with Connector, Hood, Ball & Socket, Etc. 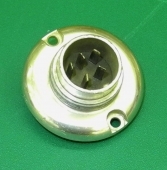 New 30 pin Female Tuchel connector as used on MCI, Sony, Trident, etc. 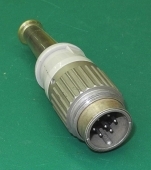 New 12 pin female Tuchel connector as used on Telefunken V76m, TAB, Siemens, etc. 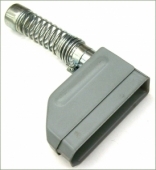 Used 10-Pin Male Cord Mount In Line Jones Beau Cinch Connector. Condition varies on these, a couple are unused. One new 7-pin Tuchel Male Cord Type Connector, With Round Pins. Used 5-pin Tuchel Male Cord Type Connector For Neumann EMT Mixers, Mics, Etc. 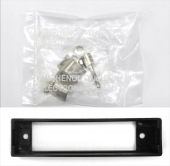 New 30-Pin Tuchel Hood / Cover Assembly With Hood, Boot, Ball, Socket, Etc. NOS Original 12-pin Tuchel Black Male Cord Connector, For Neumann Mics, Mixers Etc. NOS Original 12-pin Tuchel Male Cord Connector, For Neumann Mics, Mixers Etc. 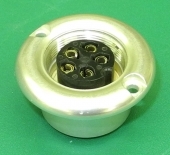 One New 5-pin Tuchel Female Panel Mount Connector, mates with connectors with blade Pins. One New 5-pin Tuchel Male Panel Connector, Blade Pins For Neumann Mics, Mixers, Etc. Rectangular EMT / Neumann / Tuchel 23-Pin Male Connector For Modules Etc. 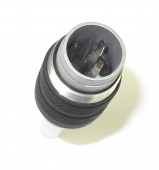 One new 5-pin Tuchel Male Cord Type Connector For Neumann EMT Mixers, Mics, Etc. One new 5-pin Tuchel Female Cord Type Connector For Neumann EMT Mixers, Mics, Etc. 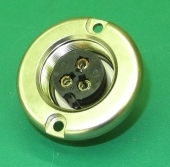 One new 7-pin Tuchel Female Panel Connector, With Round Pins. Used 7-pin large Tuchel Male Cord Connector, With Round Pins. Used 5-pin large Tuchel Male Panel Connector, With Blade Pins. 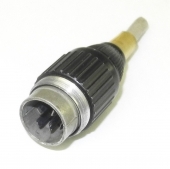 Used 5-pin Tuchel Male Plug Connector With Long Flat Blade Pins. 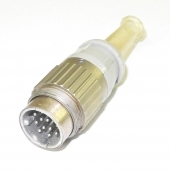 New 5-pin large Tuchel Male Panel Connector, With Blade Pins. 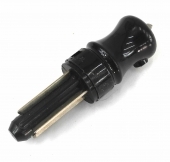 New 3-Pin Large Tuchel Female Panel Connector, With Blade Pins. 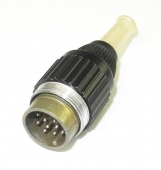 New 5-pin large Tuchel Female Panel Connector, With Blade Pins. 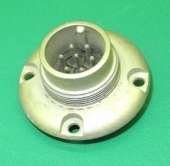 Used 5-pin large Tuchel Female Panel Connector, With Blade Shaped Sockets. 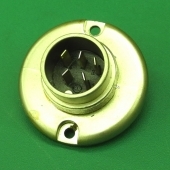 Amphenol Tuchel T3400018U 6 Pin Male DIN Cable Mount Plug, Gold Pins, New in Sealed Packet. Panel Mount Chassis Shell For 30 pin Tuchel Connector, With Mounting & Latch Hardware.